Vegans’ seaside adventure! 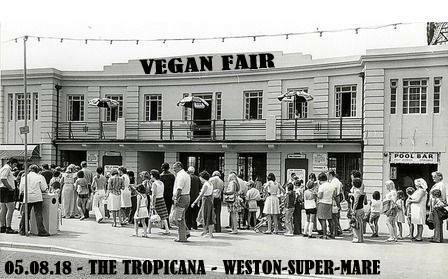 Visit the 1st vegan market at the famous Tropicana. We’ll have some food trucks outside the venue, and inside: more hot food stands along with delicious food to try and take away: from the region’s best vegan cheese makers, fermented foods, pie makers, bakeries, drinks producers and importers. Find cruelty free make-up, body products, health supplements, interesting arts & crafts, and clothing designers. We are positioned on the promenade with easy access to the beach and funfair, all making for a fantastic grand day out.